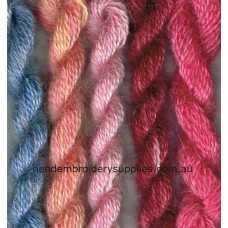 Kacoonda are an Australian company producing a beautiful range of hand dyed embroidery threads. 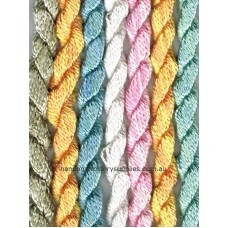 Available in various thicknesses and twists in pure silk, mohair and wool. 60 gorgeous variegated colours are available across the entire range of threads and is compatible with the Kacoonda Silk Ribbons range. *Please see below number clarification for Colour Chart. 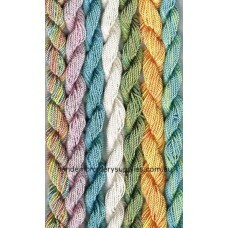 Kacoonda 2-ply Twist is a softly twisted..
*Please see below number clarification for Colour Chart. 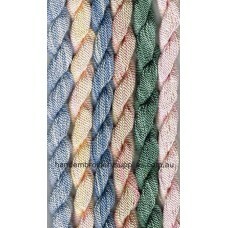 Kacoonda Fine Silk is a very fine single..
*Please see below number clarification for Colour Chart. 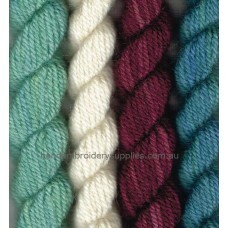 Kacoonda Fine Wool is a medium weight cr..
*Please see below number clarification for Colour Chart. 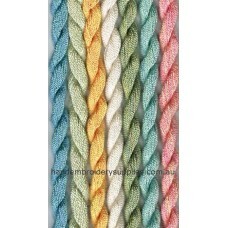 Kacoonda High Twist is a very tightly tw..
*Please see below for number clarification for Colour Chart. 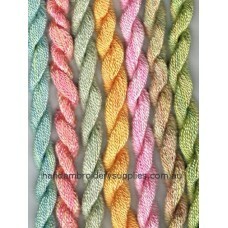 Kacoonda Medium Silk is a single str..
Kacoonda Medium Wool is a heavy weight crewel wool. It is available in the same 60 variegated ..
*Please see below number clarification for Colour Chart. 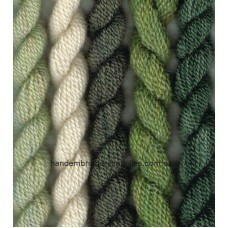 Kacoonda Mohair is a 100% pure mohair th..
*Please see below for number clarification for Colour Chart. Kacoonda Thick Silk is a very glossy..